Hardscaping in San Luis Obispo provides the perfect complement to your entire landscape design. Successful hardscape design and installation complements an environment in such a way that generates cohesion and establishes a seamless look between the home or business and natural landscaping. Hardscaping is also a great alternative to areas of your yard where natural landscaping might be impossible due to erosion or other factors. Since Hardscaping in San Luis Obispo is durable and long-lasting it requires very low maintenance other than routine cleaning and occasional treatment. Hardscaping is fully customizable and comes in numerous designs and tones that perfectly match your entire landscape. Of all patio types, paver patios are the easiest to install and require the lowest maintenance. They require a higher investment than most other patios, but the trade off is not having to routinely stain or seal them. And with endless options to choose from you can create color variations that work for your entire home & yard. Pathways give you easy access to your entire property. 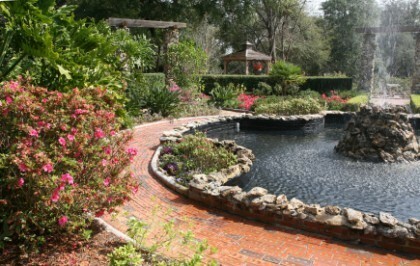 This minimizes the flow of traffic through your natural landscaping and cuts down on grass maintenance and replanting. Pathways can be built using a number of different materials and designs from gravel to brick and stone, any color, and style. Retaining walls are frequently used to raise patios to an elevation above the surrounding grade, sometimes to meet the entry threshold of a raised foundation home. Retaining Walls are generally created to elevate patios above a surrounding gate. They’re also used as a security barrier if your landscaping is high off the ground. Retaining Walls oftentimes give your property a distinguished elegant look. The best way to double the value of a retaining wall is to make it a seatwall. Seatwalls are simply an undersized wall designed for relaxed seating. It’s often a design feature that is included in retaining walls adjacent to outdoor living spaces. Seatwalls can seat several guests year round and is a great added feature to traditional seating. Providing useful access points like a driveway, patio and pathways instantly adds value to your home and lifestyle. Retaining walls stabilize grades and add durable structure to the landscape. 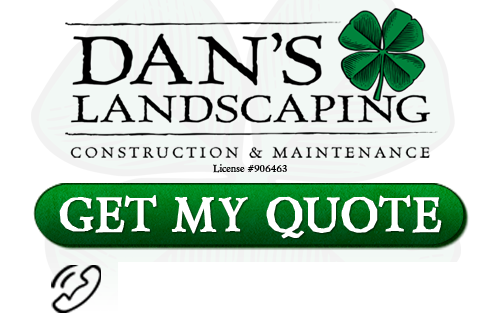 The Dan’s Landscaping Company hardscapes crew will design and install it for you. Our San Luis Obispo hardscapes specialists customize all landscaping and hardscaping projects based on each specific need. To get started on your next hardscaping project in the West Central Coast area, contact Dan’s Landscaping Company for a hardscape consultation. Our San Luis Obispo landscapers can design and implement a hardscaping creation for you that successfully achieves continuity and flow between your beautiful landscape and home. If you are looking for professional Hardscaping in San Luis Obispo then contact Dan’s Landscaping Company at 805-550-5488 or complete our online request form.